Harteis' Appreciation of Cavalieri's "Other Voices, Other Lives." 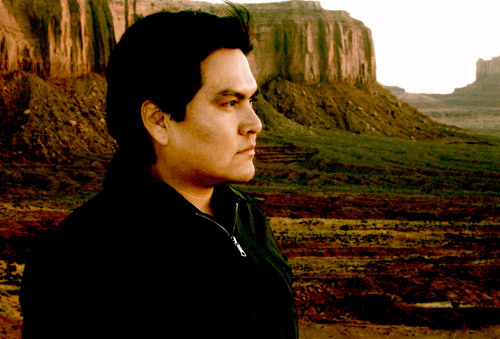 "The Man Who Got Away"
Fund for the Future of Children "Emerging Voices in Poetry"
Sherwin Bitsui, a Diné (Navajo) from the Navajo Reservation in White Cone, Arizona, received an AFA from the Institute of American Indian Arts Creative Writing Program. He is the author of the poetry collections Shapeshift (2003) and Flood Song (2009). Steeped in Native American culture, mythology, and history, Bitsui's poems reveal the tensions in the intersection of Native American and contemporary urban culture. His poems are imagistic, surreal, and rich with details of the landscape of the Southwest. Flood Song is a book-length lyric sequence that explores the traditions of Native American writing through postmodern fragment and stream of consciousness. Bitsui has received a Whiting Writers' Award, a grant from the Witter Bynner Foundation for Poetry, a Truman Capote Creative Writing Fellowship, and a Lannan Literary Fellowship.